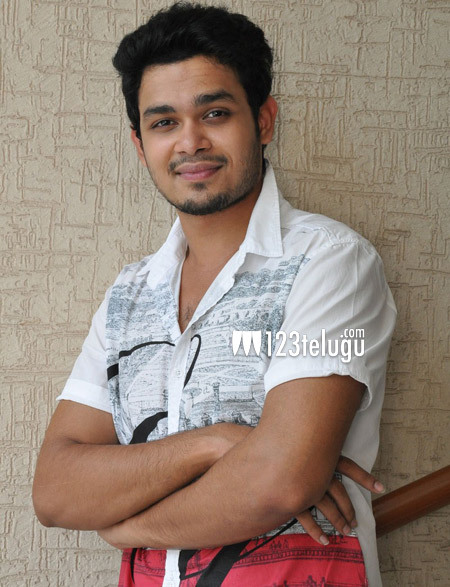 Yet another child artist, Nag Anvesh is making his movie debut with Vinavayya Ramaiya. On the eve of the film’s release, we caught up with the young actor for a brief interview. Let’s see what he has to say. Q) What attracted you towards films ? As I was born in a filmy background, I was always inclined towards movies. I acted as a child actor and this created a lot of interest in me which I have now made into a full time career. Q) How did this project shape up ? Once I decided that I wanted to act in films, I groomed myself and got ready to start my career. That is when my dad decided to launch me on our home banner. Q) Tell us about your role in the film ? I play the role of a carefree youth in the film. What problems does he faces in life because of his attitude is the entire film all about. Q) How was it working with director Ram Prasad ? Ram Prasad is an experienced director and has made films good like Chirunavutho and Kalyana Ramudu in the past. He has a lot of grip on the emotions and executes his stories quite interestingly. The content of the film is quite strong and will connect with everyone. Rasool Ellore’s cinematography and Anup Ruben’s music are also major assets. Q) Tell us about your future projects ? I will announce my second project pretty soon which will be with a top director.